Forex scalping is a popular technique that mainly involves opening of positions and liquidation of these positions in quick succession. The term ‘quick’ is objective; however, generally, it means a timeframe of 3 to 5 minutes at a maximum. Scalpers usually maintain the positions only for about a minute. For a trader to use scalping, leverage and spreads are factors that are to be taken into consideration. However, the more important aspect is the selection of a suitable broker that will help the trader to execute forex scalping successfully. The attitude and preferences of the broker are important factors that determine the profitability for a trader. There are many forex brokers that are functioning in different parts of the world. Each of their business models and technical interfaces cater to traders with different requirements, trading profiles and risk appetites. However, such differences do not impact long-term traders. For day traders and scalpers these differences are significant in that they determine the chances for profit and loss. Read on to find out what criteria should be kept in mind by traders on how to choose the best forex broker for scalping. If you are a forex trader that wants to use scalping as your primary trading strategy, then you will need to spot a broker that is ready to close hundreds of trade positions with a near-zero profit or even loss. Because of this, the cost of trades for scalpers is a significant factor that affects their income and profits. For the trader, the spreads offered by the broker is a significant factor that will affect their profits. Whereas traders will earn an income based on profitable trades that are executed, the forex broker has to be paid for every position that is opened, whether it is profitable or not. In this context, it is important to choose brokers that offer the lowest spreads for the currency pairs that the trader would like to trade. 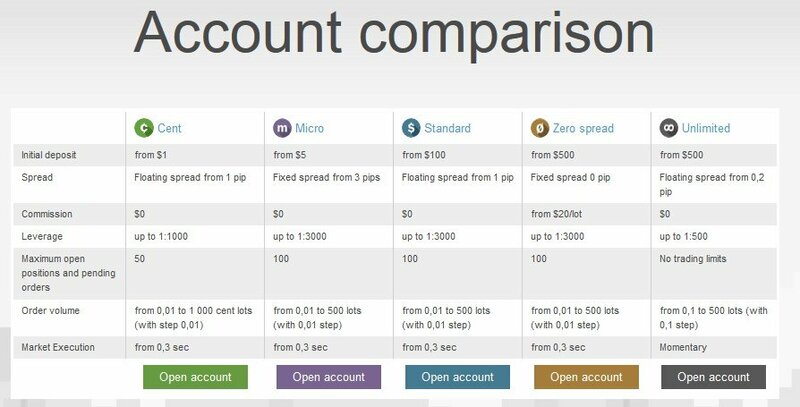 It is, therefore important that the trader looks carefully into the different types of accounts and the options offered by forex brokers before deciding to choose one of them. Whereas some brokers do not allow scalping techniques to be used by the traders, there are others that take long processing times and lose the advantage for the traders. Generally, brokers trade against their clients to reduce their liabilities with the lending institutions. As the orders placed by the brokers are in the opposite direction to that of the traders, the net exposure to the market is zero. In practice, the broker nets out the traders’ orders against one another and does not commit any of his funds. Only the net long or short position that remains is counter-traded by the broker. This is usually a losing position but safe enough for the broker to attempt without much loss. As most of the scalpers are losing trades most of the times, an occasional scalper that makes profit does not worry the broker. However, this whole arrangement can go awry when the trader assumes positions with large lot sizes that may eventually force brokers to commit their funds. Too many positions assumed at different places can bombard the system and there would be crowded trades being placed. In addition to all of this, if the brokers’ systems are not fast enough, the scalpers can expect to end up in a nightmare kind of situation. On the broker’s side, if the system is unable to create adequate exposure to all the trades that flow in, he will end up sending the scalper out by terminating the account. If the system is not fast enough to process the orders, it is possible that the trader will leave on his own account because of the difficulties faced while trading. For a scalper to be profitable, it is important to choose a broker that is technically competent and has superior technological infrastructure. The broker has to be ready to handle the large volume of orders that comes in with scalping. A scalper has to choose a no-dealing desk broker (NDD). This is because most of the processes are automated for an NDD broker. There is very little scope for tampering of any kind. All client orders are sorted out by the system itself. As the trading times of scalpers are very short, fundamentals clearly do not have an impact on the trades. For any scalper to execute trades successfully, it is essential that he has access to advanced technical tools. The package offered by the broker clearly has to contain advanced technical tools to help the scalper. As the scalper spends continuous periods of time in front of the computer screen, the interface that the broker offers should not be too tiring for the eyes. The interface should not be too bright or graphically intense. The trading platform should be able to display simultaneously different time frames to help the scalper monitor the price movements. Though the trading happens in very short periods, the simultaneous display of time frames that help the scalper to understand price actions can be beneficial. In addition to the above, the package allowed by the broker should allow for timely execution of the trades. The quotes should be precise so that there is no scope for any slippage from the broker’s side. Only correct quotes allow for rapid action. Slippage causes the trader to lose time as they will be unable to trade. The amount of losses incurred will render the trading impractical for the scalper. All these are likely to contribute to escalation of emotional pressures on the scalper and losses may become more frequent. Scalping by itself takes its toll on the traders’ nerves. Broker incompetence cannot be another contributing factor to the same. The final thought is that a highly competent broker with a technically superior system coupled with efficiency and state of the art tools is a must for any scalper.